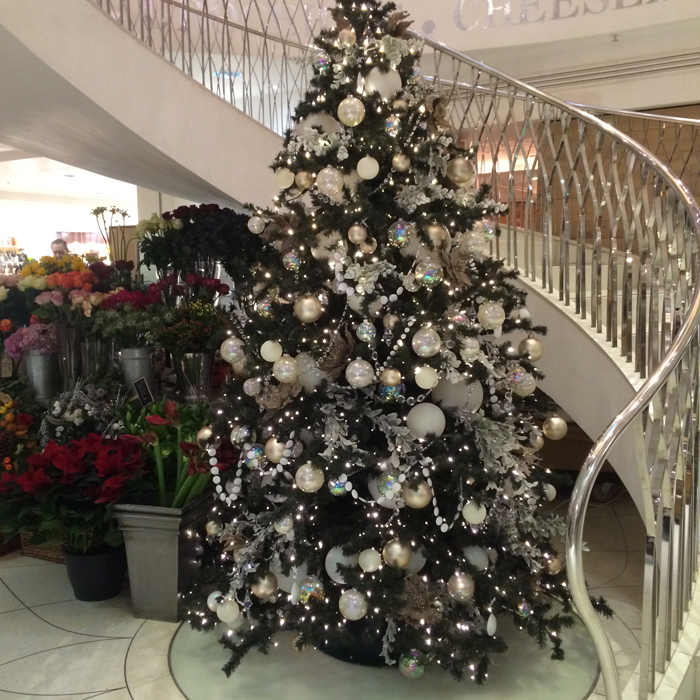 Christmas is a wonderful time of year anywhere, but especially so in London – and, to get even more specific, inside the city’s many department stores. 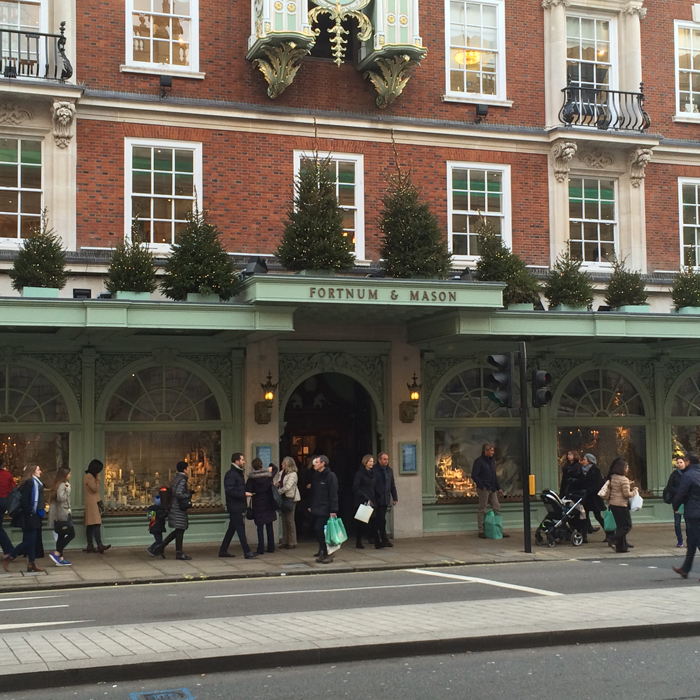 Fortnum & Mason is one of my favourite London department stores, and this past week I was able to duck inside to take a look at their fantastic Christmas selection. 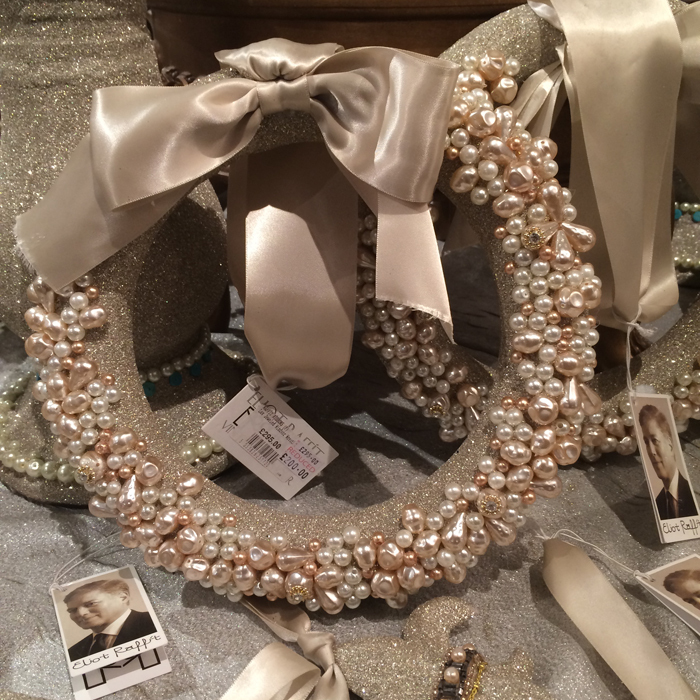 You might remember that Catherine, Duchess of Cambridge, attended a special event at the store in 2012, her first official function with the Queen, so maybe the store holds a special place in her heart too! 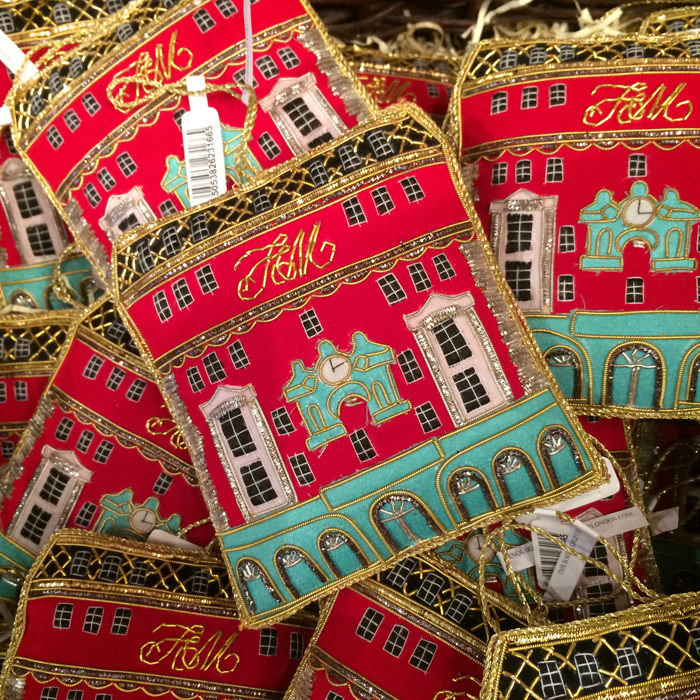 Fortnums has such an amazing array of Christmas goodies I thought a photo essay would be the best way to show it all off! 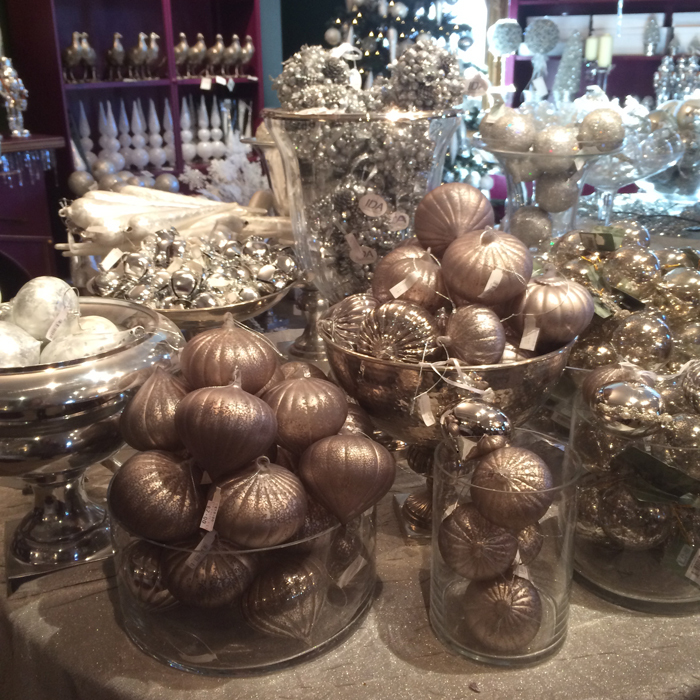 The festive feel starts with the window displays. 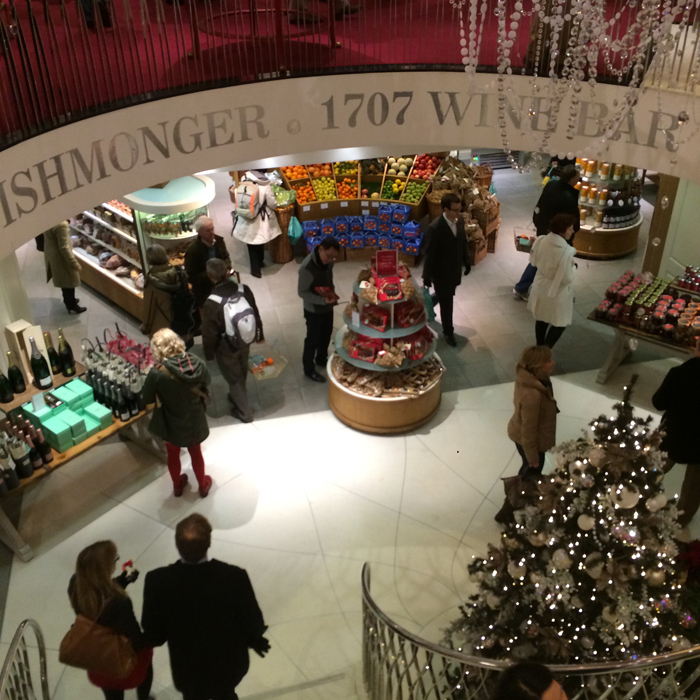 And as Fortnums is well known for its groceries, they feature really heavily in the displays – and are really mouth watering! 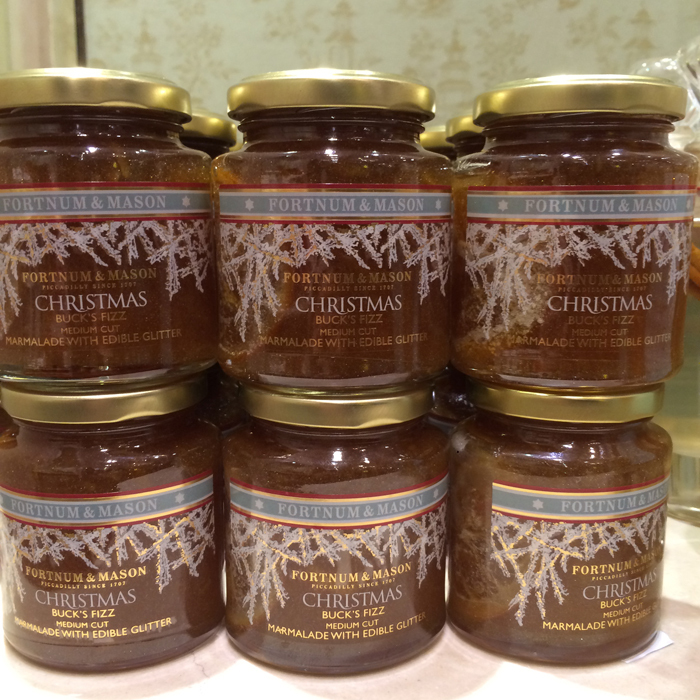 There’s a myriad of wonderful Christmas items, including this Buck’s Fizz marmalade with edible glitter! 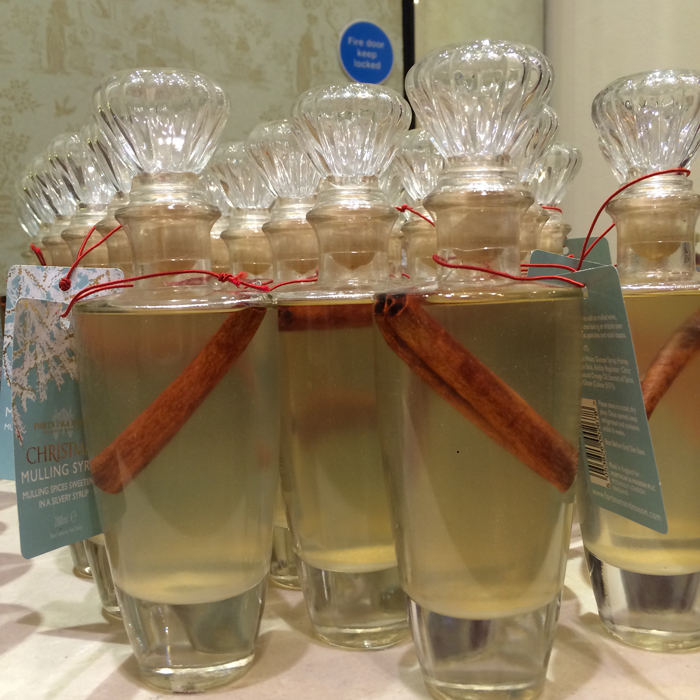 They also have some fantastic mulling syrup – but who would want to use it up when it looks so beautiful in the bottle? 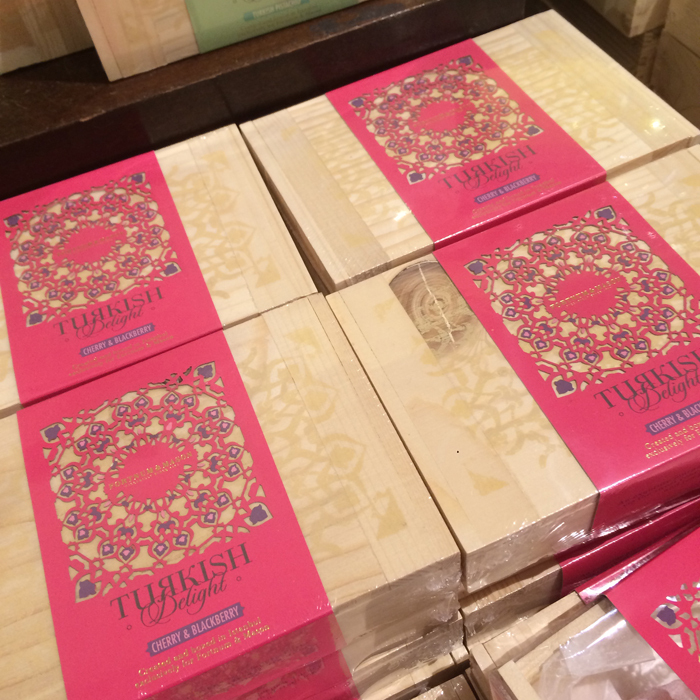 An unexpected favourite of mine, though, is this Turkish Delight – hugely expensive at £15 a box, but handcrafted by a family in Turkey exclusively for the store. 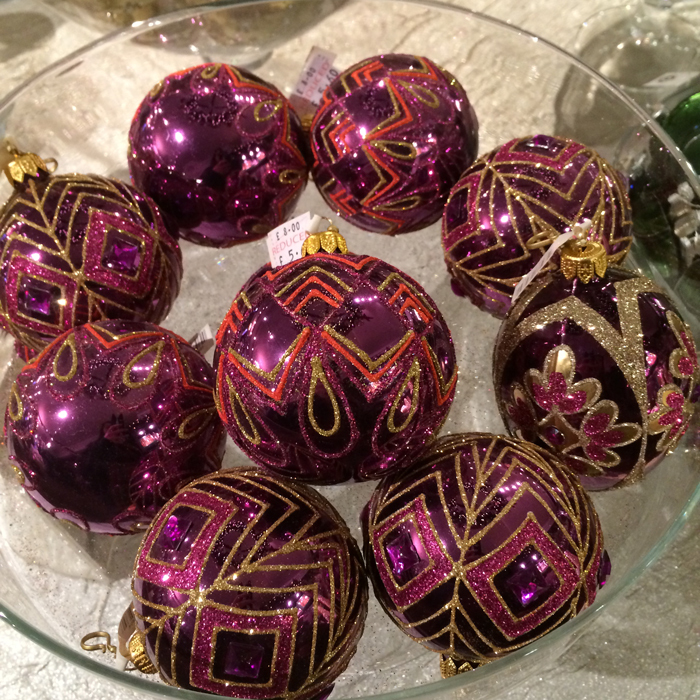 The box is so pretty too, and reusable! 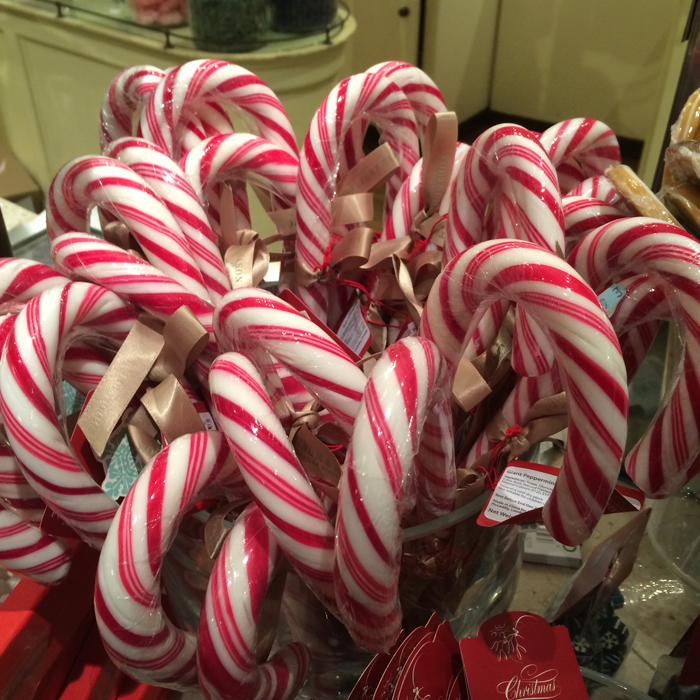 And, when it comes to Christmas, these candy canes are an obvious, traditional choice! The bottom level houses the grocery selection proper, and it’s here you can find everything from alcohol, to meat, vegetables, fruit, pantry items and the bakery. 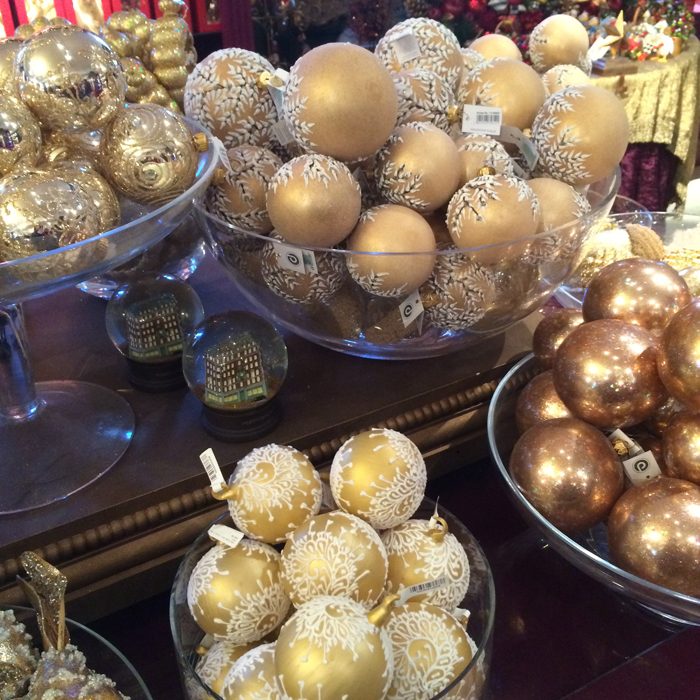 My favourite part of the store at Christmas, though, is the top floor – where the Christmas room is! 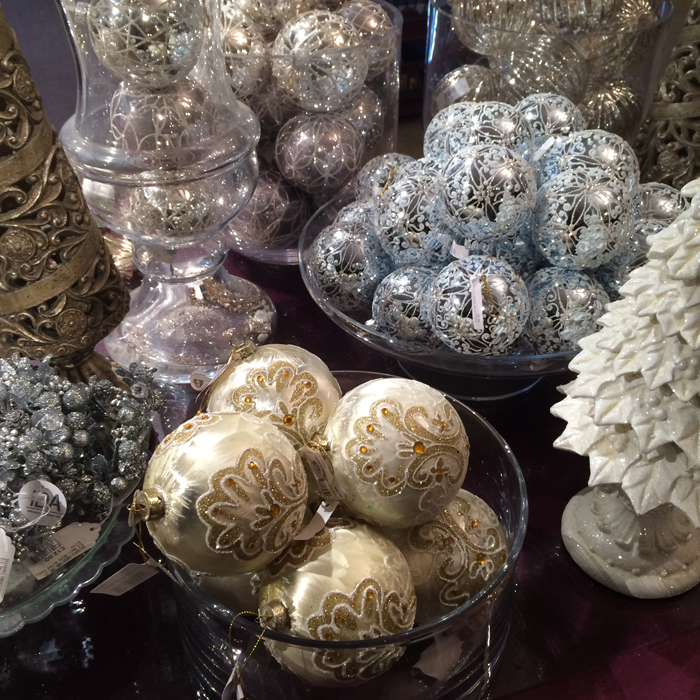 F&M really pushes the boat out with some gorgeous decorations every year, and here’s a selection of my favourites! 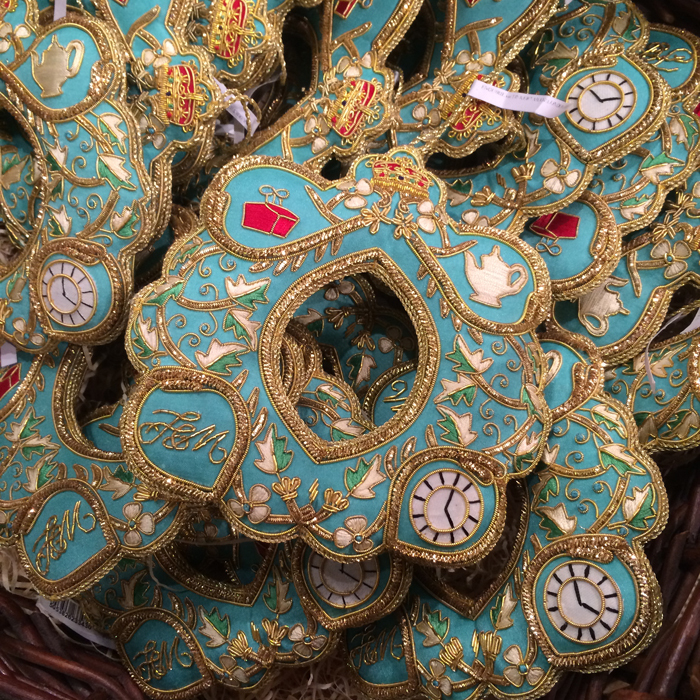 Can you imagine any of these gracing the trees at Kensington Palace? 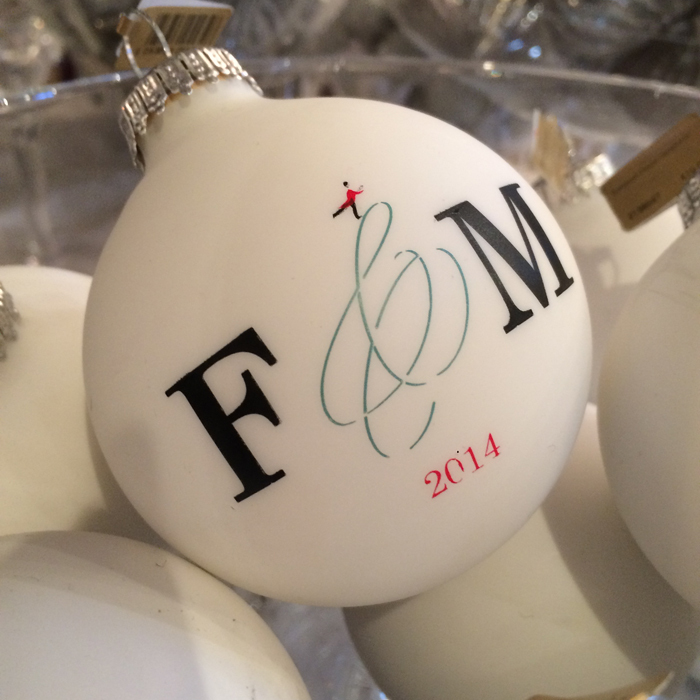 Oh, goodness, I love those F&M tree ornaments! I wish shipping costs to the States weren’t so outrageous. It all looks so amazing! 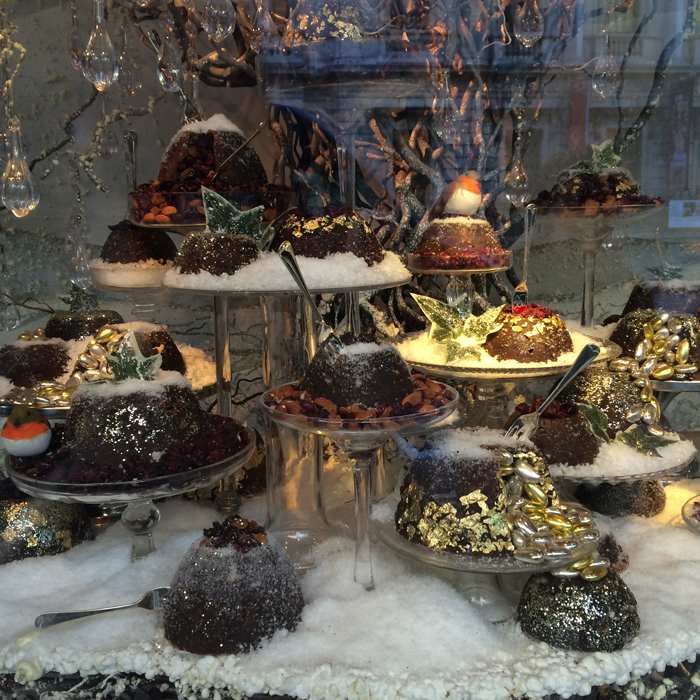 I really plan to visit London just before Christmas next year!